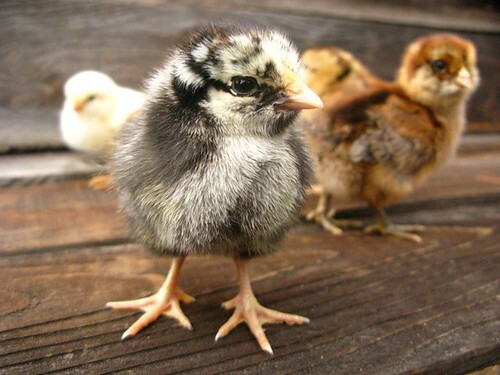 Sign up now for Veggielution’s Backyard Chickens workshop—it will fill up soon because raising chickens is more and more popular and this is a great deal for a workshop to get you started. The workshop is Saturday, March 26, from 1:30 to 3:30 pm in the LeFevre Barn Classroom. The $20 fee for this class covers materials costs, and also allows Veggielution to put on free and bilingual workshops throughout the year. Click here to register. Raising chickens at home comes with many rewards, and is a great way to be more connected with where our food comes from. A few hens can keep your family supplied with fresh eggs that can come in a beautiful range of colors, with thick sturdy shells, and vibrant yolks that stand up tall. We’ll go over selecting breeds and where to buy chicks, designing a coop and run, raising your chicks, and keeping your chickens safe, healthy and happy. This will be a hands-on workshop that includes a visit to Veggielution’s chicken coop to hold hens, gather eggs, see an example of coop design, and participate in some chicken care. If you’re interested, we can also arrange to order and raise some chicks for you too. This workshop will be led by Jessie Nichols, Veggielution Youth Program Coordinator and mother hen to our flock of 36 chickens since they were chicks. "Raising chickens at home comes with many rewards, and is a great way to be more connected with where our food comes from." I very much agree with this. I'm not even vegan, but I like having a connection with living animals that end up becoming my food.